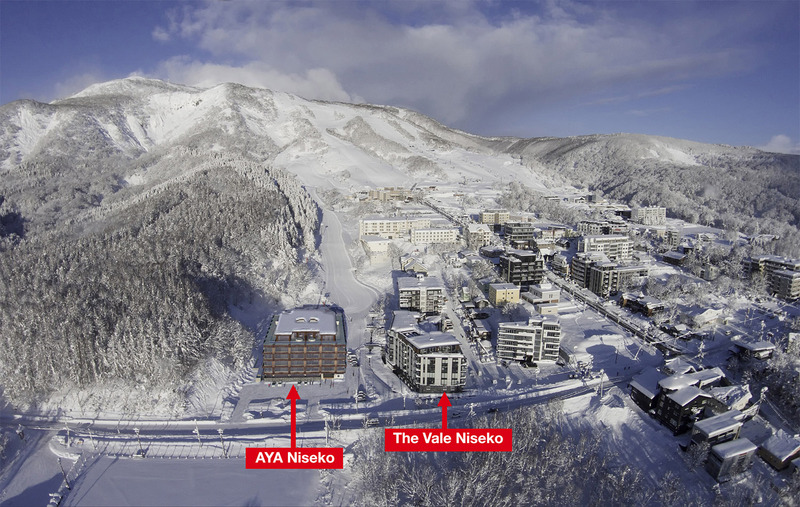 AYA Niseko, a luxury ski-in ski-out condominium/hotel located on the Grand Hirafu Resort ski slope, opened its doors this month. The 79-unit building is already almost 90% sold out, with the final few apartments expected to sell over the ski season. The majority of apartments were in the 88 ~ 90 sqm range and priced from 100 ~ 400 million Yen (approx. 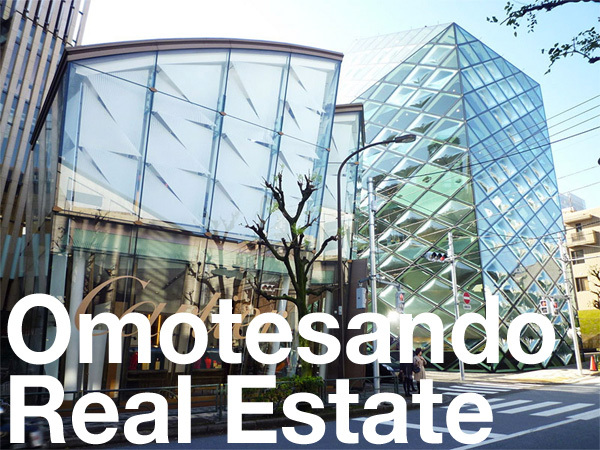 850,000 ~ 3.4 million USD), while a 370 sqm penthouse, which has already sold, was priced at 600 million Yen (approx. 5.1 million USD). Apartment prices are similar to what can be found in central Tokyo. All apartments are sold fully furnished with air-conditioning/heating and floor heating. 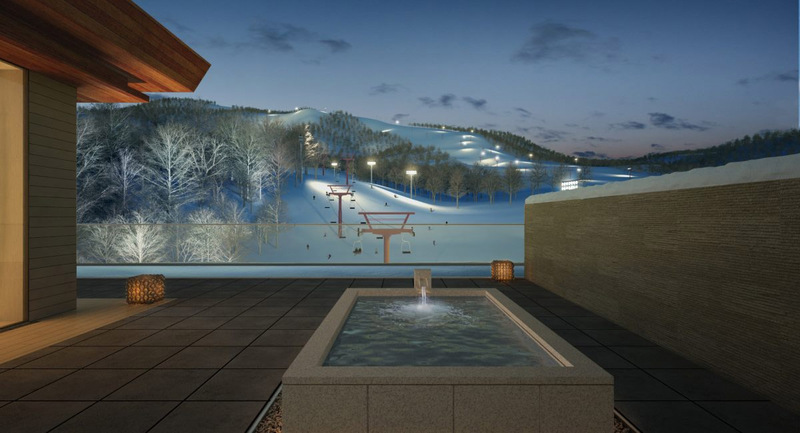 Some of the ground floor units include their own private ski-in ski-out access and onsen bath. In addition to restaurant facilities, residents and guests will have access to 24hr reception, a 30-person hot-spring bath, gym, ski valet, yoga room, conference room, art gallery and kids room. Hotel room rates range from 78,000 ~ 262,000 Yen per night. Apartment buyers have the option of entrusting their rooms to Tokyu to be rented out to hotel guests. The project is being developed by Tokyu Land and Marumi Co. and managed by Tokyu Resort Service. 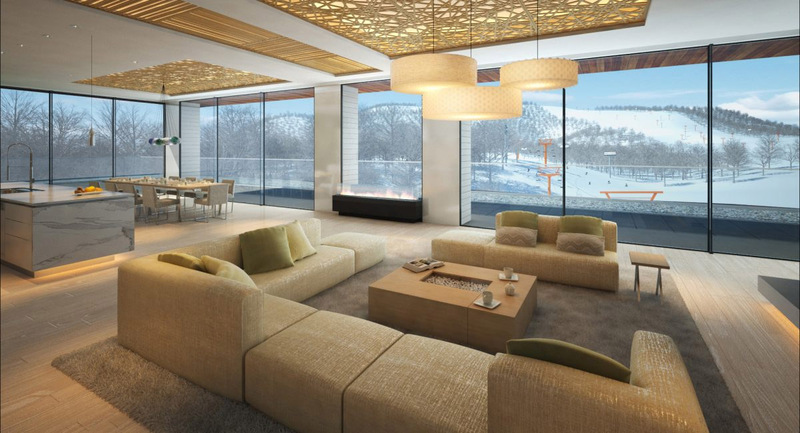 It is the first project in 20 years in Niseko that can accommodate over 300 residents. 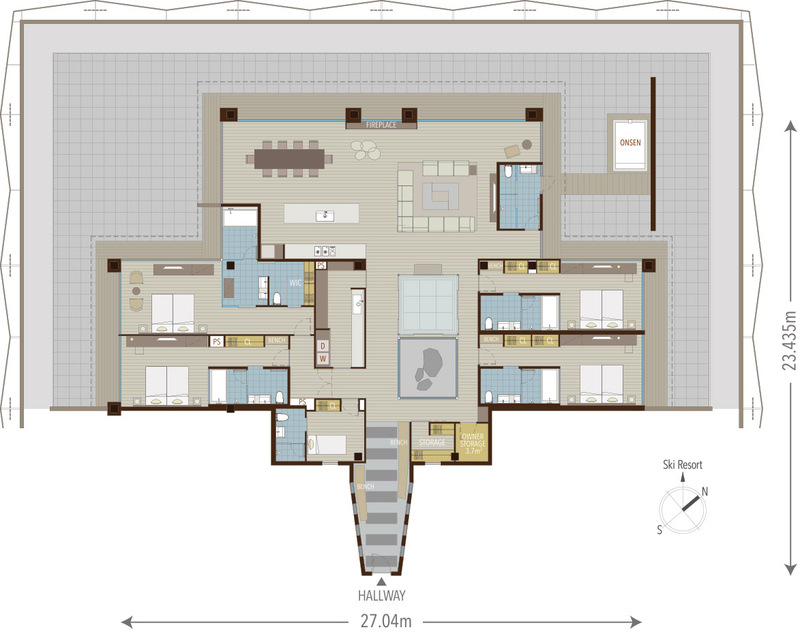 The 366 sqm penthouse with private outdoor onsen bath. The Nikkei Shimbun, December 14, 2016. The Hokkaido Shimbun, December 14, 2016.